This is a service offered through participating TV providers that allows you to watch CNBC TV Live as well as full episodes of your favorite CNBC shows online the day after airing on TV. How do I contact CNBC? If you have not found the answer you need in the FAQs and need additional help, please contact us. Can I access from my mobile device? This service is currently available on your desktop and laptop computer. We are working to expand the offering to additional platforms. Please continue to check back to see when this service is available on additional devices. Can I access if I am away from home? Yes. You can watch CNBC TV on your desktop and laptop computer anywhere within the U.S.
Full episodes for the available CNBC original series will be available the day after they air on television. 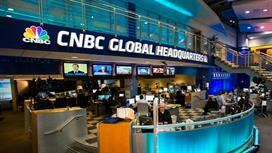 Is there CNBC content available without a PayTV subscription? Yes, you can continue to visit cnbc.com to access show clips, highlights without Pay TV subscription. Yes. By clicking the CC button on the player, you will engage the closed captioning. Who can I contact with questions about Closed Captioning on CNBC? CNBC is pleased to offer closed captioning on many CNBC Network programs made available online and through mobile apps. Programs with closed captioning will have a "CC" icon in the player controls. Just tap to enable or disable. For caption inquiries regarding CNBC Network programs delivered via broadcast television, please contact your local pay television service. Some shows are not currently available on this service. We are frequently adding new series and episodes to the site, so continue to check back to see if your show has been added. Most shows are available in HD. Will I need to download and install anything onto my computer? You may need to update your video players and their plug-ins to their most current versions. Please make sure you have updated and installed the latest version of Adobe Flash Player if you are experiencing difficulties playing video. Why isn't my TV provider login working with Safari or Mac? 4. In the "Content Setting" screen under the Cookies section make sure "Allow local data to be set" is selected and "Block third-party cookies and site data" is unselected. What are the system requirements to access on my desktop computer? What web browsers can be used? Restart your browser and navigate to http://www.macromedia.com/support/documentation/en/flashplayer/help/settings_manager08.html. Do I need to have an active Internet connection? Yes, you will need an active high-speed Internet connection to watch CNBC TV from your desktop or laptop computer.